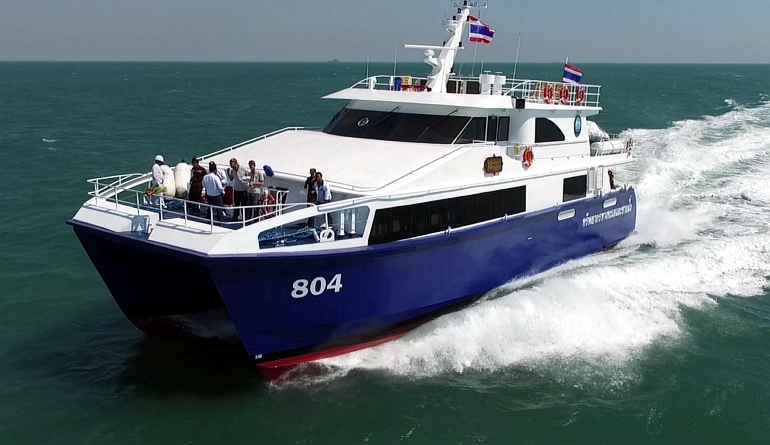 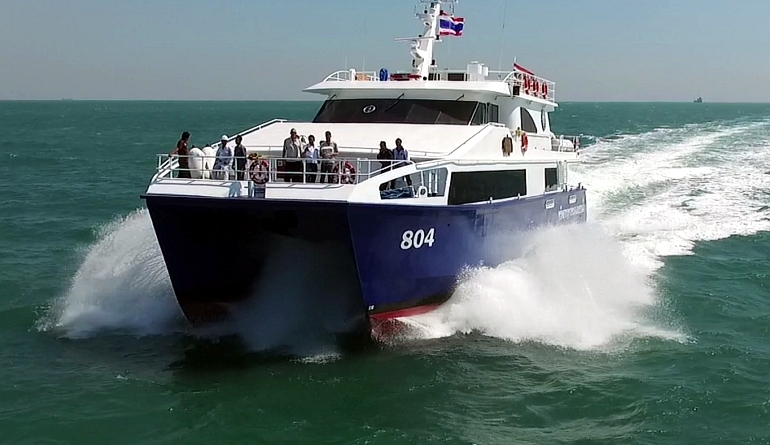 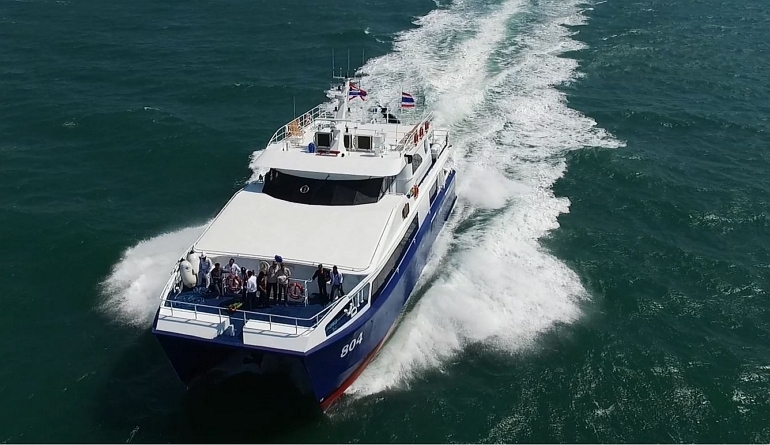 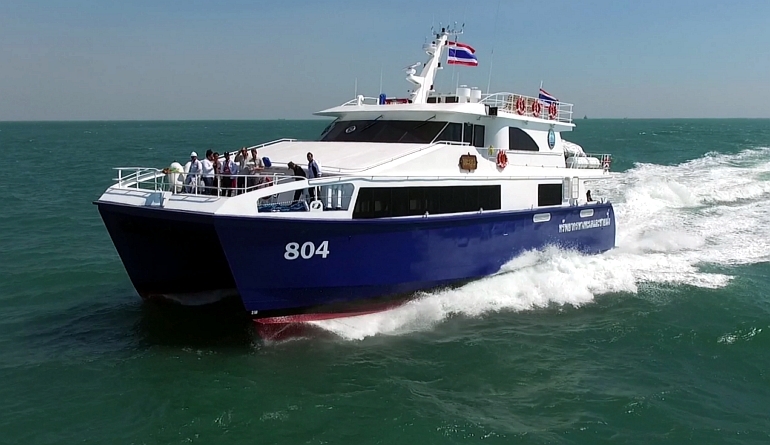 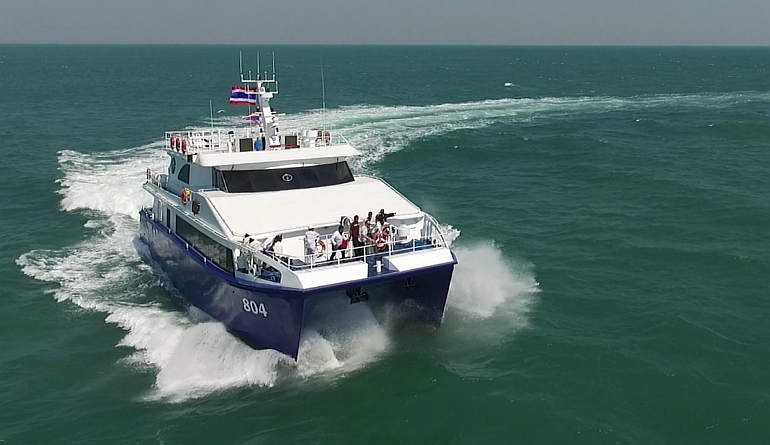 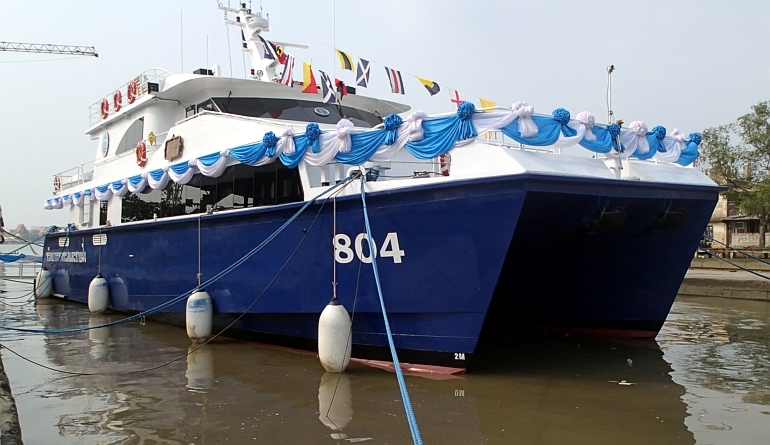 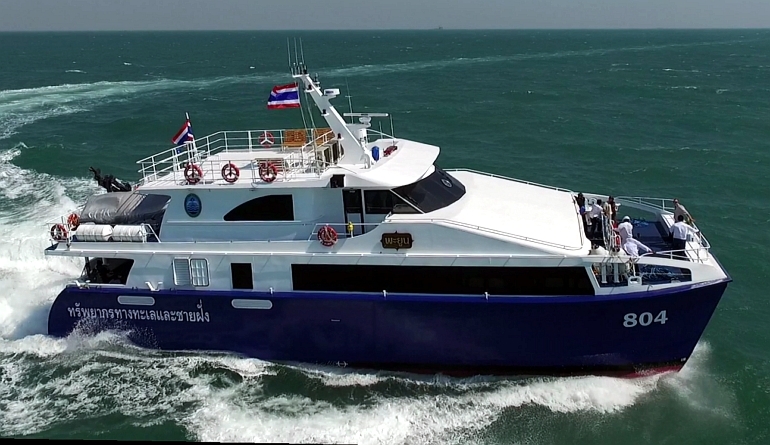 In February 2016 a portion of the GMD design team attended the very successful launch and sea trial of Global Marine Design’s latest Marine Kit, “Phayun” a 26m Marine Park Patrol vessel for the Thai Department of Marine and Coastal Resources. 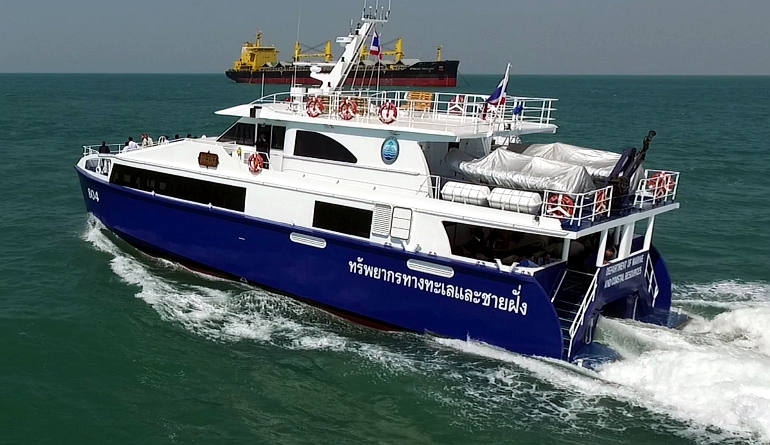 “Phayun”, being Thai for ‘dugong’ will predominately patrol and protect dugong habitats against poaching and seabed damage. 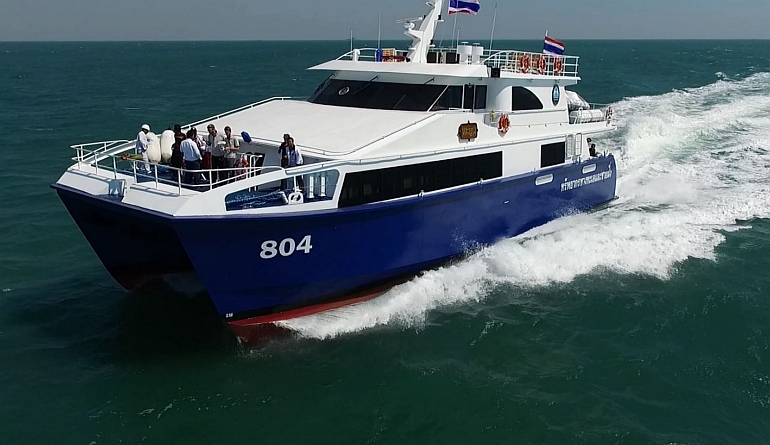 This all new aluminium Marine Kit comes with Lloyds structural approval, engineering to the Australian NSCV and was proudly assembled by Italthai Marine, who work closely with GMD. 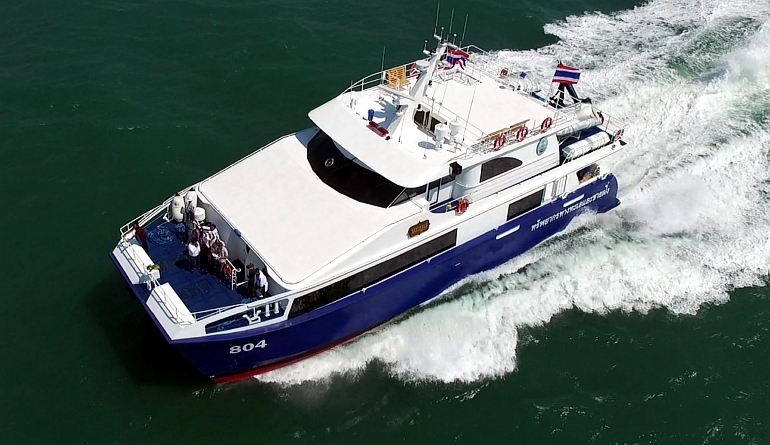 The hull form is based on our well proven “Great Escape”, operated by the Great Escape Charter Company and features very high deadrise, high volume hulls, fantastic tunnel clearance and fine angle of entry which combine to give excellent sea keeping abilities. 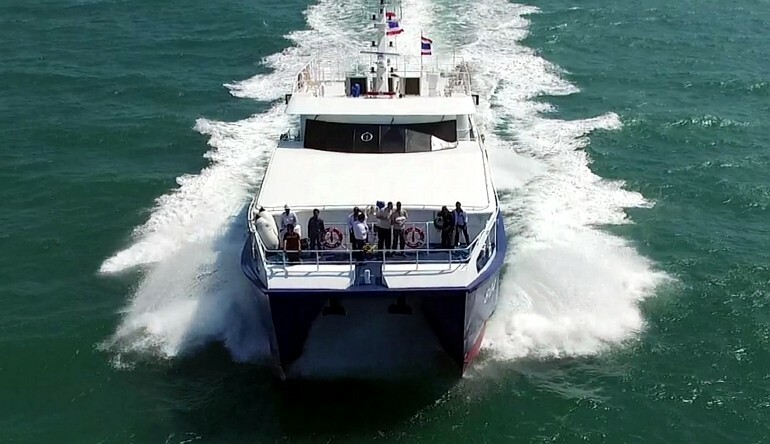 Powered by twin MTU 10V2000M93 engines, the vessel achieved 26 knots WITHOUT active interceptors, easily meeting the contract speed of 25 knots with great potential for further gains. 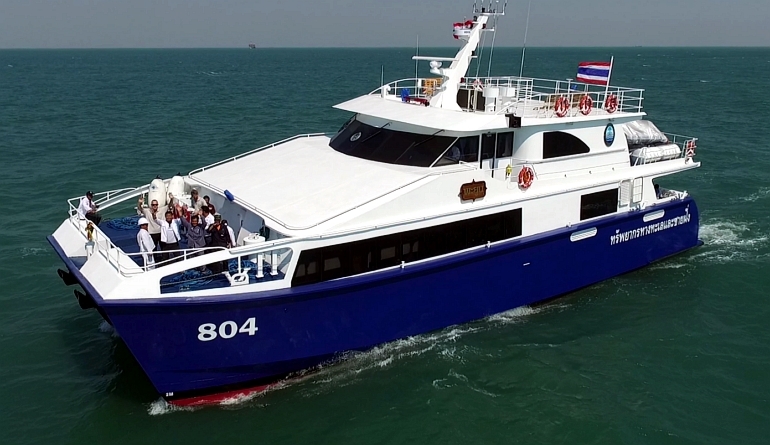 The simple but elegant engineering installation is smooth throughout the entire RPM range and is a credit to Italthai Marine’s abilities. 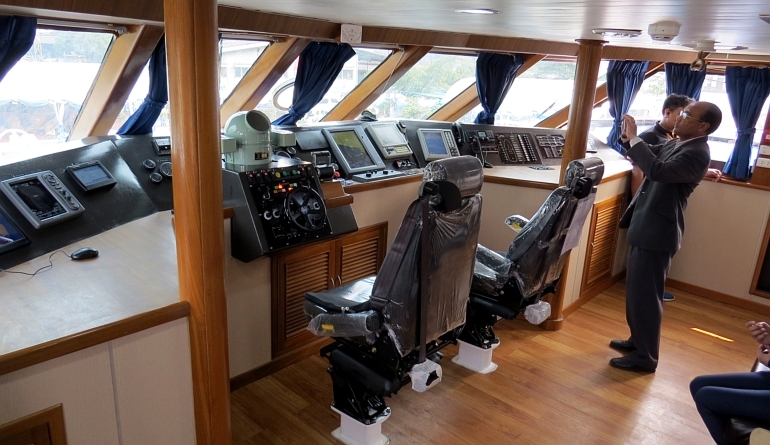 Likewise, the fitout is functional and comfortable, using lightweight composite panels in combination with attractive and hard wearing local timber trim. 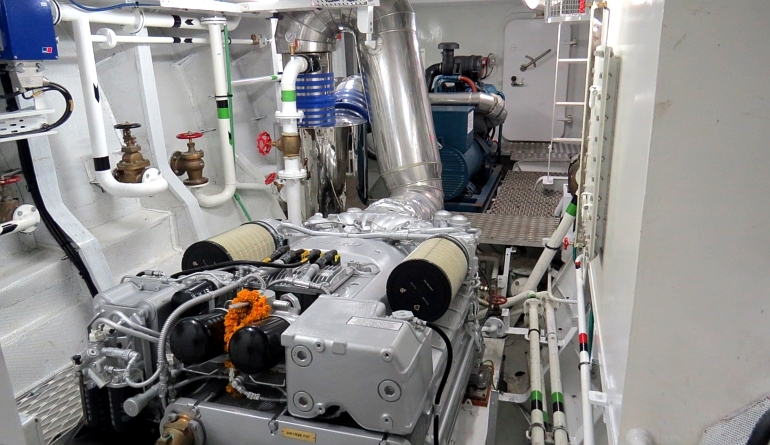 The Marine Kit is ready and available to cut and ship for construction anywhere in the world and is well suited to various applications including Patrol, Tourism/Charter or Passage making. 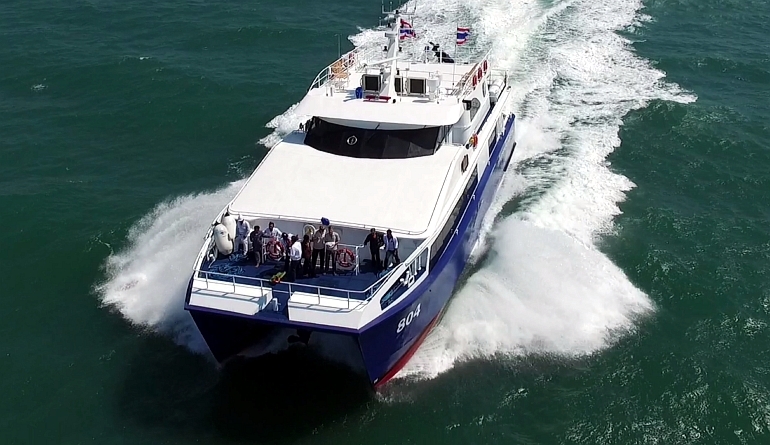 Please click ‘Contact Us’ to enquire for pricing and further information.